Washington (AFP) – Wesley Matthews, a veteran guard in his 10th NBA campaign, signed a contract with the Indiana Pacers on Sunday, three days after being released by the New York Knicks. 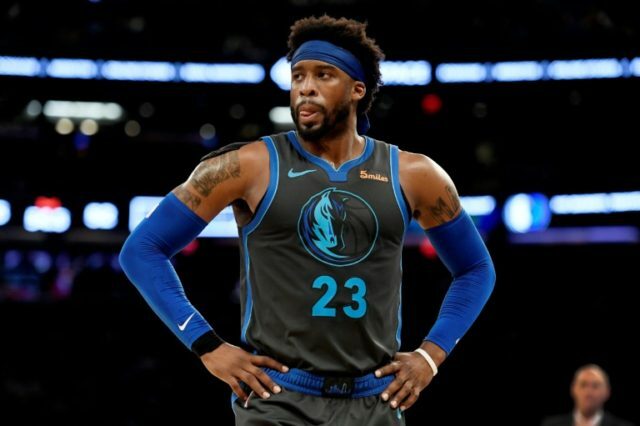 The 32-year-old son of Wes Matthews, a two-time NBA champion with the Los Angeles Lakers in the 1980s, has averaged 12.8 points, 2.3 rebounds and 2.3 assists over 45 appearances this season for the Knicks and Dallas Mavericks. After one season with Utah and five more at Portland, Matthews signed a four-year deal with Dallas before the Mavericks traded him to New York a week before the Knicks dropped him. “He’s a solid professional who we feel strongly will help us the remainder of the season and into the playoffs,” said team president of basketball operations Kevin Pritchard. Matthews has averaged 13.8 points, 3.1 rebounds, 2.2 assists and 1.1 steals in 701 career games while connecting on 38.2 percent of his 3-point shots.